jerk | Over the line, Smokey! 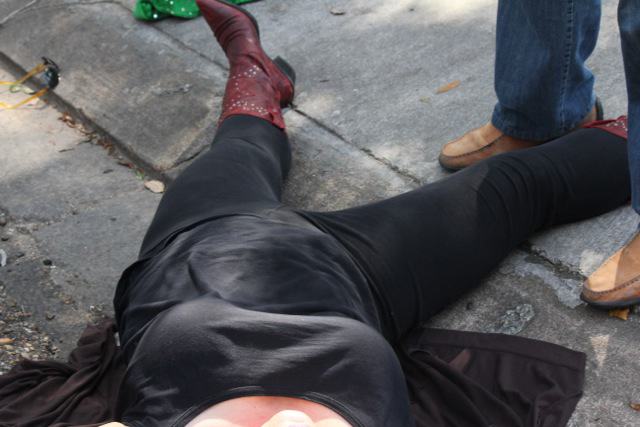 Rich bully in Louisiana knocks out daughter of woman he was smearing, after she pulled down a banner. The Rude Pundit on 2/27/12 has the back story: A radiologist got pissed off at a newspaper for running a story about an absurd tax break he was using. So he began a smear campaign against the publisher, putting up billboards, etc. Then he smeared her with a float in a Mardi Gras parade. When the publisher’s daughter pulled off one of the banners, the radiologist jumped off the float and “allegedly” cold cocked her. Then he “allegedly” stood over her unconscious body and photographed her. The colossal jerk could lose his medical license. That would be a shame, since he seems to believe in all those important doctor things, what are they called, oh yes, the Hippocratic Oath, helping people, all that.